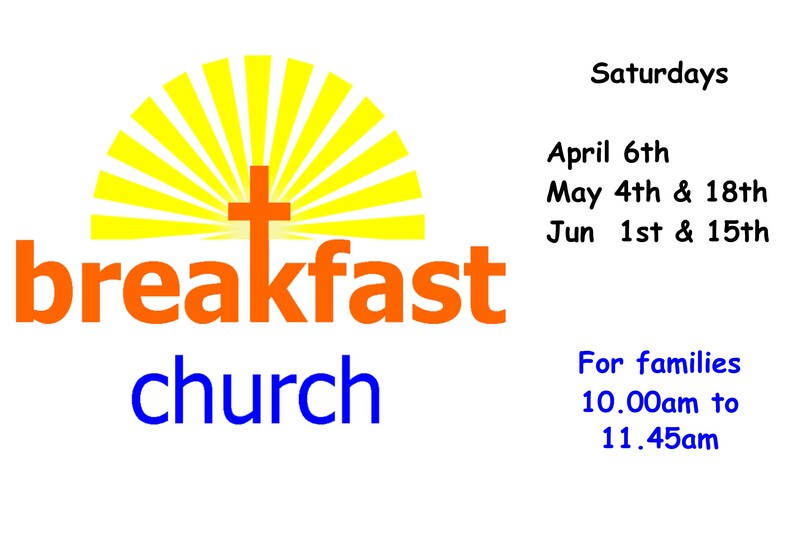 Do bring your family to join with us on Sunday mornings, at our fortnightly Breakfast Church on Saturdays, or at one of our social events for families held about four times a year. Many young families also attend our Baby and Toddler Groups. Details below: we look forward to meeting you and your family. Our Junior Church caters for ages 3 to 12, toddlers may play with their parents nearby or in the Childrens’ Corner in church, and we have a discipleship group for teens meeting monthly. When we have All Age worship, including childrens’ songs and story, there is usually an extra hands-on activity provided for children, besides the toys in the Children’s Corner. Junior Church meets in the Lower Hall, with toys and games and crafts, and a bible story and prayer using the Roots lectionary theme. It’s usually a small group of between 3 and 8 children with two leaders, and parents are welcome to stay with children who are settling in. In summer, we may use the garden. After about 50 minutes, we join with the main congregation for some lively singing, the final blessing and sometimes a story. And children may be invited to show the congregation some of their crafts (if they want to!). If your child has some particular needs, please have a chat with Wendy and we will try and accommodate. During 2018, we experimented with Family-Friendly Sunday services especially geared to young families: under 50 minutes long and with lots of visual content and activities on tables. And we plan to build these into our programme monthly during 2019. Our relaxed Saturday morning welcomes families to a help-yourself breakfast, craft activities and toys (or playtime in the garden during warmer months) followed by a bible story, Christian songs and child-friendly ways of praying. We meet fortnightly in term-time on the 1st and 3rd Saturday of the month, and usually once in the school holidays. Begun in 2015, there are 10 to 14 families involved with children aged 0 to 9 and we have use of both Lower and Main Halls. Teenagers can also join in, usually as helpers. All children must be accompanied by an adult. The morning runs from 10am to 11.30. And if you are running a bit late – come anyway. Our Holiday Club for ages 5 to 10 runs on Tuesday and Thursday mornings during half-term. Each two-hour session includes jokes, games and playtime, crafts, dancing or running game, bible story and discussion about the theme, and refreshments. For children who want, there is an optional prayer activity. This is a friendly morning where the children can make friends with a small group of others and enjoy themselves. Occasionally, some parents stay and play nearby with a younger child, which works well. Open to children from all faiths and none. Suggested donation: £4 per morning if you can afford it. During the year, the church hosts various social and fun family events. Our 2017 summer family barbecue was enjoyed by 36 children and over 100 adults, and our ever popular November fayre includes children’s entertainment and Santa’s grotto. We open the garden in summer time for a variety of play dates, and in January families come to watch the garden from indoors (!) to participate in the RSPB national bird survey and we enjoy bird-themed crafts. In March 2016 we had a very successful afternoon with some Magicians, and in 2017 we had an Easter family event, some getting-to-know-you lunches and a lovely tea party raising money for MacMillan cancer support. We look forward to meeting your family. We are open most Wednesday afternoons in the year for a drop-in for babies and parents from 1.30pm to 3.30pm. Free parking in our adjacent carpark from 1.15pm. This is a friendly multi-cultural group available to all pregnant women and mums and dads with babies up until they are toddling. A few people manage to get along the second week after birth but for most it takes a few weeks to start getting out and about. Come for refreshments and a chat, playtime for your baby, and our short singing session. If needed, you can bring an older child along too and we will find them some toys from our children’s corner. It’s usual for people to feed their baby during the sessions – breast or bottle - and if desired we can move a screen to create some privacy – just ask. There is no religious content in this session, which is open to people of all faiths and none. Donation suggested £1.50 per family. To check on dates in August and December, visit our facebook page WGC Baby Group. Previously, this group was called Bumps and Babies and has been run in the past by NCT, and during 2016/17 as a supportive partnership between NCT and the church.